Even during UC Berkeley’s winter break, Oakland North has a few more tricks up its sleeve. In the next few days, we’ll showcase some stories that we weren’t able to run during the semester. Today’s feature story looks at the Alameda County Family Justice Center on 27th Street, which provides comprehensive legal and counseling options for the thousands of our neighbors affected by domestic violence. In 2008, more than 7,000 people called the police because of a domestic dispute, an average of once every 90 minutes. 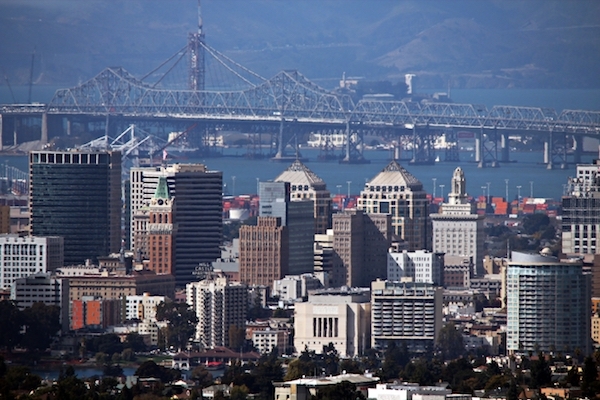 More than 2,500 calls led to criminal cases, the majority of which originate here in Oakland. Later this week, ON will check with residents of Oakland about what they view as the most important developments of the last decade. You can send your suggestions to staff@oaklandnorth.net. And in case you missed it, ON’s Adelaide Chen attended the Oakland Interfaith Gospel Choir’s Christmas concert and prepared this audio slide show.